 How to spot fake Marc Jacobs sunglasses | iSpotFake. Do you? 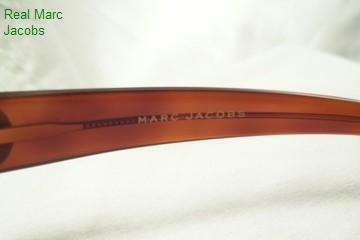 The authentic Marc Jacobs sunglasses display the correct size and font of their logo. Marc Jacobs spaces the letters out with about .25 to .5 more distance between them when compared to a standard font (arial, Times etc). Often times counterfeiters will print the logo with a standard letter spacing, crooked or sloppy print and/or an incorrect font altogether. 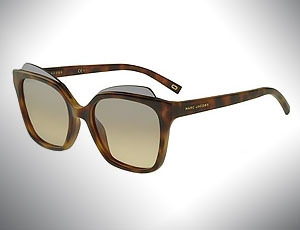 The image of real Marc Jacobs sunglasses displays the dimension, origin, style and color information of the glasses. 1.) CE [European standard ] Notice that the CE is printed very large. 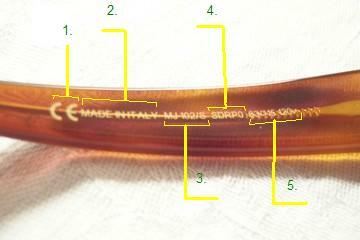 This is a method that authentic S. Ferragamo eyewear also utilizes. Many times the fake Marc Jacobs sunglasses will have a CE stamp equal to (or close to) the size of the rest of the print. 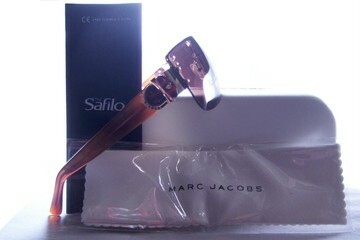 The image of the Fake Marc Jacobs sunglasses below are lacking some key features of an authentic Marc Jacobs inner temple arm. This most notable is the missing "CE" stamp at the beginning of the print sequence. 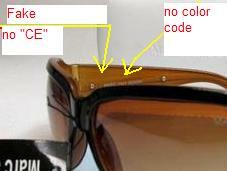 Also, this fake Marc Jacobs pair does not have the color code or the model number of the sunglasses. Plus, the print sequence is completely out of whack. [Note:] Just because some of these items may be missing from the seller's package, does not automatically mean the glasses are fake. Many times off-season purchases, or shelf pulls etc, may come with something missing like the auth card.